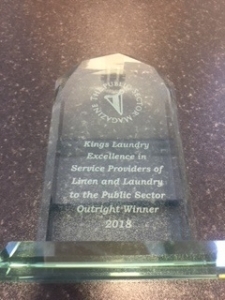 Kings Laundry are the proud winner of the ‘Excellence In Service Providers of Linen and Laundry to the Public Sector 2018’. Another proud achievement of Kings Laundry. At Kings Laundry our ‘Customer Is King’.